With the sheer number of new beauty products that land on my desk at Sephora each day, something has to have that total wow factor to get me excited enough to blog about it. There are plenty of new products, and plenty of very good new products. But then there are those rare products that I fall in love with, obsess over, and must share with everyone I know. 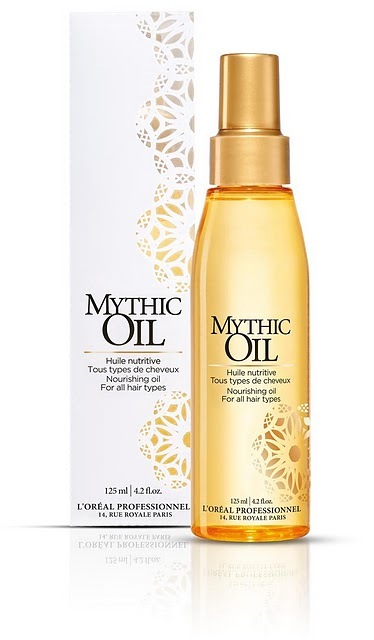 L’Oreal Professional’s new Mythic Oil is one of those amazing newcomers—and it’s not even sold at Sephora (though I really wish it was!). I first discovered it covering backstage beauty in September at the Jenny Packham show during New York Fashion Week and have been using it daily ever since. As seen on sfgate.com’s Unzipped September 21, 2011. Manhattan’s Lincoln Center Plaza was a veritable feast for the eyes throughout New York Fashion Week with stylish guests, who were busy on their smart phones or hailing cabs, dressed in bright pops of color and playful prints. Even in the unseasonably hot fall weather, a gaggle of industrious fashion bloggers—cameras in tow—lingered each day outside the theater awaiting the sartorial parade to begin. Erin Gee, 27, Vancouver, and Niki Blasina, 26, Vancouver. Today’s the first morning I’ve had all week to really sit down, look at all the images my husband Edric and I have been taking…and write. I needed to pull out for an hour and get some kind of semblance of my normal routine in San Francisco, so I went for a long run in Central Park, grabbed a breakfast sandwich at a liquor-store-deli after, (which had a line out the door–so I figured it must be cheap and/or good! ), and stopped for a Starbucks iced coffee (it’s pushing 80 degrees with high humidity). 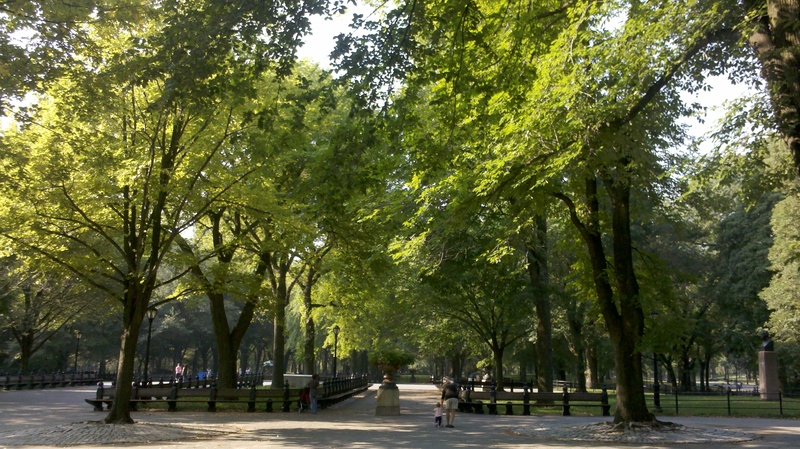 A view from my run this morning through Central Park. 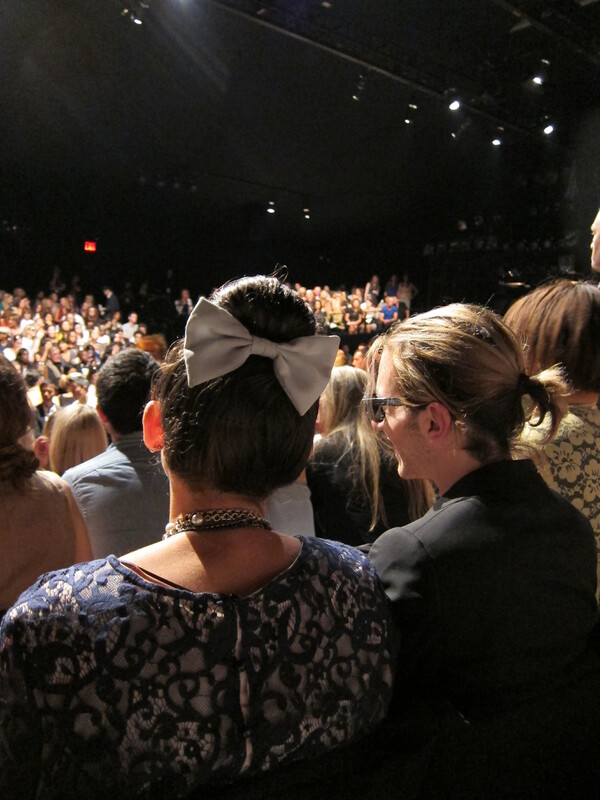 Tracy Reese was the first show I attended this week at the Lincoln Center Theater, and it happened to fall on 9/11. I was curious to see what might be in store for the 10th anniversary of the tragedy in the U.S. city hit the hardest. 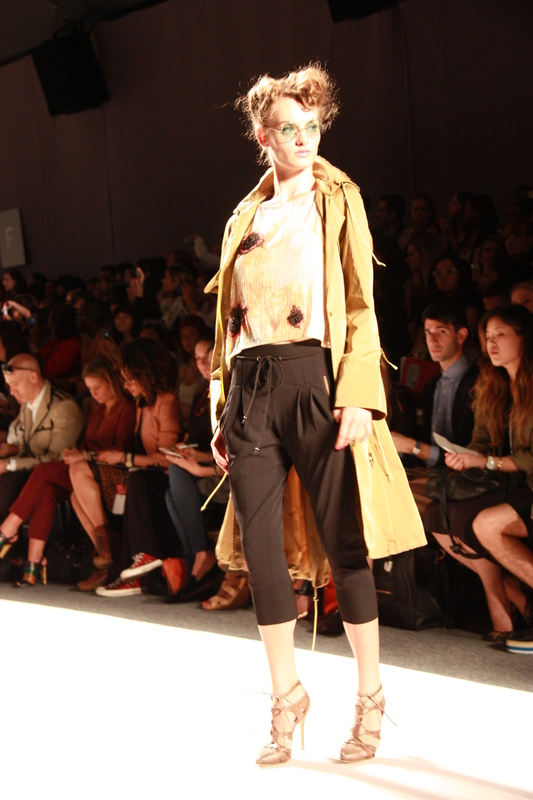 Sunflower print blouse, cropped high-waisted pant, and mustard anorak by Tracy Reese. Photography by Edric Itchon.